Actual Factual – Laurie Booth, Tim Head, Scanner (Robin Rimbaud). A national touring dance programme in collaboration with dancer Laurie Booth and visual artist Tim Head. Strips of audio tape were attached to motorized steel poles that rotated causing the tape to fan out. 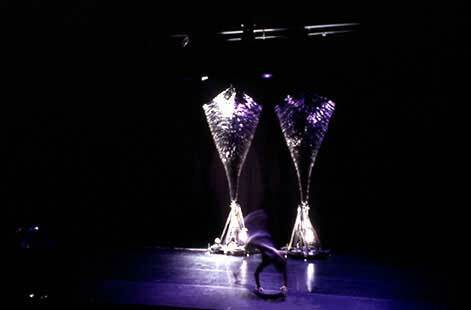 The soundtrack used the live physical sounds of the dancers as well as live improvisation.